Sanji Ram and Vishal Jangotra, who were chargesheeted by the crime branch of Jammu and Kashmir Police in the case, have also sought transfer of the probe to the CBI, besides seeking to be impleaded as parties in the petition filed by the victim's father. 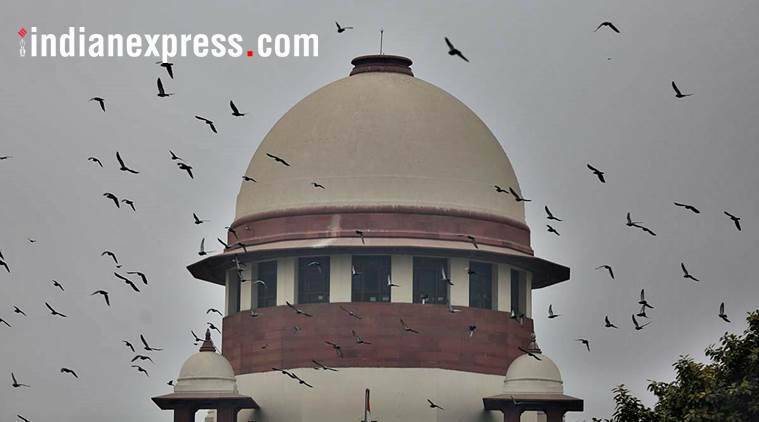 The Supreme Court on Thursday agreed to hear the petition of the two prime accused in Kathua gangrape and murder case, who are opposing the plea of the victim’s father seeking transfer of trial outside Jammu, preferably to Chandigarh. While stating that its “real concern” was to ensure a fair trial, the top court said the case would be transferred out of Kathua if it found slightest possibility of lack of fair trial. The bench, also comprising Justices A M Khanwilkar and D Y Chandrachud, said the trial should be fair not only for the accused but also for the victim’s family and protection should be ensured to them and their lawyers . Sanji Ram and Vishal Jangotra, who were chargesheeted by the crime branch of Jammu and Kashmir Police in the case, have sought transfer of the probe to the Central Bureau of Investigation (CBI) besides seeking to be impleaded as parties in the petition filed by the father of the victim. The duo had moved the top court on Wednesday, saying they had been falsely implicated. “It is humbly stated that the applicants are necessary and proper parties as their rights and interest are bound to be affected by the outcome of the writ petition,” they said in their plea. The accused added that Article 21 of the Constitution guarantees fair investigation as well as trial to the accused. “Therefore, the investigation must be fair, transparent and judicious as it is the minimum requirement of rule of law. The investigating agency cannot be permitted to conduct an investigation in a tainted and biased manner,” the plea said. On the transfer of the case, the plea said the convenience of the complainant cannot be the sole consideration for transferring a criminal case out of the state. “Courts have to consider the convenience of the accused, prosecution witness and larger interest of the society. That the trial in the charge sheet has commenced at Kathua and there is no apprehension on behalf of the complainant for any threat or coercion of prosecution witnesses,” it said. Appearing for the father of the eight-year-old girl who was gangraped and murdered in Kathua in January, Advocate Indira Jaising had last week said the trial in the case should be transferred to Chandigarh as “the atmosphere” in Kathua “is highly polarised” and hence “a fair trial will not be possible” there. There was “direct attack on the counsel of the father”, Jaising said, and added that the petition had suggested Chandigarh only due to its proximity. Meanwhile, the Bar Council of India’s inquiry panel on Thursday rejected the allegations against the lawyers of the Jammu Bar Association of threatening the victim’s lawyer Deepika Singh Rajawat and preventing police from filing a charge-sheet in the court. Jaising had earlier spoken about interference from lawyers and accused the latter of preventing the police from filing the chargesheet. A woman police officer who was part of the investigation had said she was asked to give up the case, she submitted.